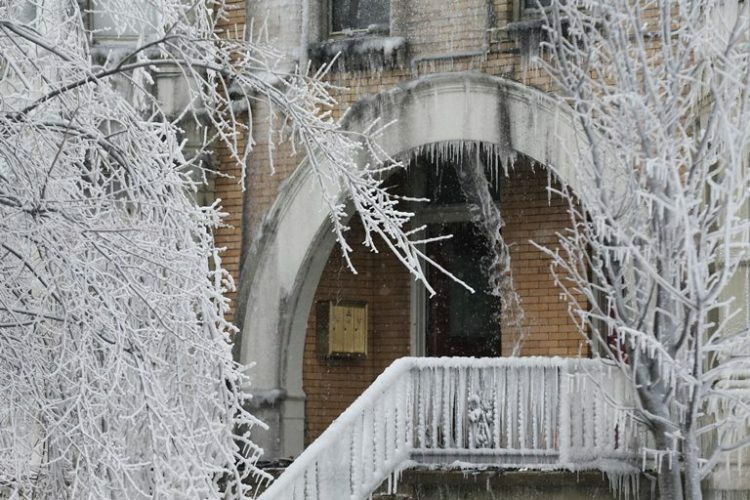 Nearly 90 residents of a Buffalo apartment building fled into frigid early morning darkness Saturday, and many left behind a lifetime of belongings. Janice Moore wore just a coat. She later wondered if the personal checks she wrote to cover a handful of bills would be where she left them at the kitchen table when she is allowed to return. Bhola and Naradi Adhikari didn’t even have time to grab coats as they fled into the darkness. Jose Pena mourned the loss of his English-speaking green parrot, Elmer. 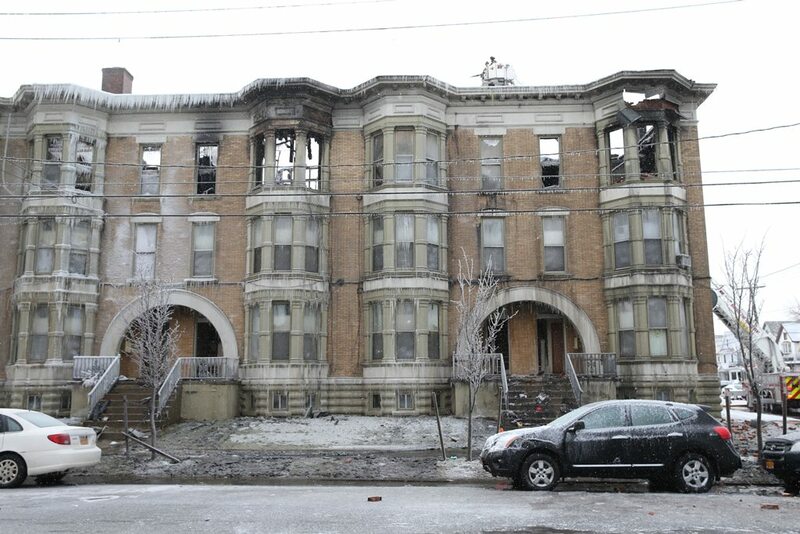 Firefighters battled intense flames for more than 12 hours at the Lafayette-Barton Apartments at Lafayette Avenue and Barton Street. Damage was later estimated at nearly $2 million. “We still had water going into that building at 1:30 p.m.,” one fire investigator said. Compounding the firefighters’ job were temperatures that dipped into the mid-teens, and the number of residents evacuated. An NFTA Metro Bus was called to provide immediate shelter for the residents, some of whom fled their apartments in bare feet and wearing pajamas. The American Red Cross opened an emergency shelter inside St. John’s-Grace Episcopal Church at 51 Colonial Circle for between 60 to 90 displaced residents. By late Saturday morning, the shelter had processed 70 people, said Jay Bonafede, chief communications officer for the Red Cross. Thomas R. Lochner, a senior warden at St. John’s-Grace, received the call at 5 a.m. from the Rev. Judy Breng asking to him to open the church for the fire victims. Lochner said he was at the church in 15 minutes. David Duke went to the shelter, looking for his son Derek, who texted him twice at 2:46 a.m. to alert him of the fire. David Duke said he knew his son was safe, he just wanted to know where. The blaze was reported at 1:04 a.m. in the 36-unit apartment, according to a Buffalo Fire Department. The fire, which started in a third-floor corner apartment, was trapped between the roof and ceiling, Kertsie said. No residents were injured. Three firefighters were transported to the hospital for treatment of non life-threatening injuries, said Kertsie. Damage was pegged at $1.5 million to the building and $450,000 to its contents.